Ashburton tyres can offer you a wide range of services ensuring that your vehicle not only obtains the best performance and it is good working order but that it is also using the ideal tyres and meets the latest road safety and environmental standards. A legal requirement, for every car over 3 years old. 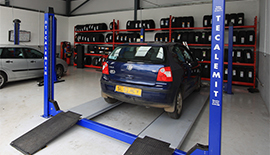 Ashburton Tyres can provide you with a complete MOT service ensuring that you vehicle is compliant. 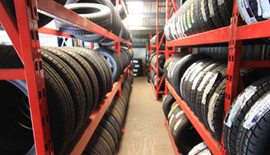 We offer a vast range of tyres to suit all vehicles and road conditions. We have a selection for cars, 4x4's, SUV's and vans suitable for varying road conditions. In order to keep your car in good working order, Asburton Tyres can offer you complete vehicle servicing including any routine maintenance and repair work. Car accessories Nitrogen Filled Tyres Exhaust problem diagnosis A service and MOT package.